Aiming at more efficient and environmentally friendly use of Turkey's coal reserves TÜBİTAK is preparing to introduce coal combustion systems, which are meant to increase the efficiency of the coal reserves and minimize their environmental impact. The Scientific and Technological Research Council of Turkey (TÜBİTAK) has taken important steps to ensure that Turkey's coal reserves, totaling more than 13 billion tons, will be used more efficiently and in an environmentally friendly way. TÜBİTAK, which previously called on companies to produce auxiliary elements and subsystems for thermal power plants, will now pave the way for the production of "coal combustion systems." The systems will be suitable for burning low-quality coal, bringing combustion efficiency to its highest level and minimizing environmental impact. Within the scope of the project, TL 7 million ($1.93 million) in support will be provided to the firms that can produce the said system. TÜBİTAK has called for the relevant companies to more efficiently evaluate lignite reserves with low calorific value, as well as high sulfur, moisture and ash content. Under the auspices of the "Improvement of Coal Combustion Systems" program, the said system is expected to support the burning of low-quality coal in Turkey for power and heat applications along with its use in power plants, bringing combustion efficiency to the highest level while minimizing the environmental cost. Other goals of the project include the development of high-efficiency technologies in Turkey and securing a place for the country in the global sector. Within the scope of TÜBİTAK's call for companies, it is expected that the combustion elements will ensure at least 95 percent burning efficiency and that the emission limit criteria specified in the Air Pollution Control Regulation will be met. Furthermore, the said system to be established will be tested by the relevant authorized organizations or independent organizations, allowing companies to achieve the required efficiency values. According to the proposal, the relevant universities and research institutions are expected to collaborate collectively in the form of consultancy services procurement regarding the project's scope. Also, the system performance developed at the end of the project needs to be presented via test reports. The aim is to reveal domestic technological products with high added-value, while it is also expected that the target and success criterion of the relevant applications will be evaluated comparatively to determine why they are preferred in terms of technical, economic and environmental aspects. Projects involving assembly will not be covered by the support. Within the scope of the call scheduled to close on Aug. 18, no restrictions have been made for the structure of cooperation. Therefore, companies that can produce the system through research and development (R&D) will be able to answer the call. The 24-month project will support a certain portion of the costs incurred by companies, with an upper limit of TL 7 million ($1.93 million). Coal will be the key driving force in achieving Turkey's objective as it aims to shift its energy policy towards that of an "energy exporting country" by the 2020s, moving away from its current status as a country that relies on energy imports. In an attempt to reduce Turkey's dependence on foreign energy resources and to introduce renewable energy resources to the economy, the government will focus on domestic coal production as the key driving element behind the shift. The Energy and Natural Resources Ministry aims to have two-thirds of the country's energy generated domestically by the 2020s, thus accelerating studies to produce electricity from coal with a new model that will offer people the opportunity to consume cheaper electricity while boosting the coal mining industry. As a result of studies conducted over the past 10 years, the government has uncovered 1.8 billion tons of coal reserves in Konya's Karapınar coalfield, 1.5 billion tons in Eskişehir's Alpu mine, 1.5 billion tons in Thrace and 1 billion tons in Afyon's Dinar district. The government aims to establish domestic, coal-based thermal power plants with a capacity of 5,000 megawatts (MW) to generate economic gains from these mines by 2020. 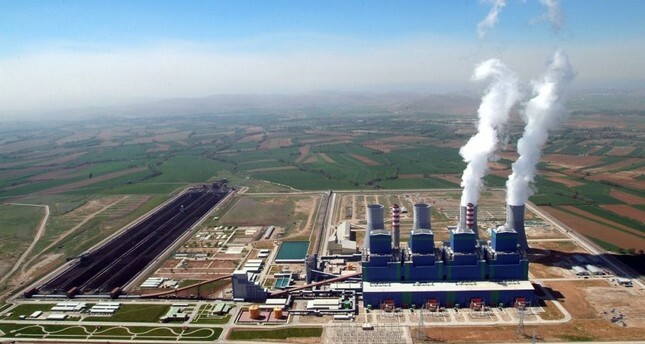 The Energy and Natural Resources Ministry continues to explore lignite and specify reserves in the provinces of Istanbul, Ankara, Denizli, Afyonkarahisar, Aydın, Tekirdağ, Edirne, Muş, Amasya, Karabük and Çankırı, amid goals to increase the amount of electricity generated from domestic coal to 60 billion kilowatt hours (kWh) annually by the end of 2019 in order to meet a large portion of Turkey's energy needs through domestic coal. The ministry is also conducting R&D projects regarding the consumption of coal in a more environmentally friendly way, while pioneering the versatility of coal for further economic gains. Thanks to the ongoing projects, low-calorie coal reserves will also be turned into economic profits. The ministry has launched a joint study with TÜBİTAK in order to design a system that will be able to burn low-calorie lignite.